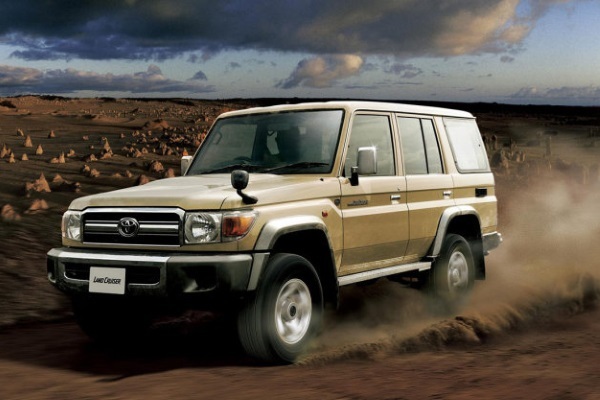 1984: the first Land Cruiser hits the market. 2014: Toyota re-releases this much-loved 80s-era model, but for one year only, in commemoration of the famous 4x4’s 30th anniversary (the Japan-made Land Cruiser 70 was discontinued in 2004). Toyota is responding to popular demand and is expected to fill an estimated 200 orders per month, for the Japanese market only. The modern version of the Land Cruiser 70 is available in a four-door or pickup, with a 228-horsepower 4.0 litre V6 VVT-i engine, supplying 265 lb-ft of torque. Equipped with a 5-speed manual gearbox, it consumes 6.6 km/l. Of course, a few small changes have been made to the “new” old model’s look, including an updated grille and headlights. A few technical features have also been added: ABS brakes, instrument panel and airbags, all things we would be hard-pressed to live without! So, how will you go about getting your Land Cruiser 70 to America?